Life Should Be Colorful, Not Your Teeth! A recent poll published by the American Academy of Cosmetic Dentistry asked people what they wished they could change about their smile. The responses were consistent and pretty telling. More than anything, people said they wanted whiter teeth. This would probably explain why professional teeth whitening is one of the most requested cosmetic treatments among adults. We all want a beautiful smile because we know it’s one of the first things people notice about us. Feeling good about your smile gives you the confidence to pursue the things you want, whether it’s a promotion at work or perhaps a romantic relationship. At Ardelean Family & Cosmetic Dentistry, we want to do all we can to help you achieve the smile that will help you get there! That’s why we offer a variety of treatments that will not only suit your goals, your budget, and your schedule, but ones that will give you the results you want. A whiter, brighter smile is one of the easiest ways to enhance your appearance and boost your confidence. Because life should be colorful, not your teeth! What Lead To Your Lackluster Smile? Despite your best efforts, your tooth enamel thins as you age. What’s left is the yellowish dentin under it, which is composed of a softer, more susceptible material than enamel. It can inevitably show through over time. Dark pigments found in things like coffee, tea, wine, pasta sauces, and blueberries can stick to your teeth and stain them over a period of time. How long it takes depends on how frequently you consume these foods and drinks and how well you keep your teeth clean in general. Medications for problems like high blood pressure and cancer treatments can contribute to discoloration of your teeth. Even certain antibiotics you may have taken as a child before your adult teeth came in could cause stains years later. Along with the list of health problems caused by tobacco use, nicotine and tar can also leave your teeth a brownish yellow. Even with teeth whitening treatment to correct these stubborn stains, you’re better off avoiding tobacco entirely for the sake of your overall health. When your tooth is damaged by an accident or injury, more dentin might be created to add a layer of protection. But as we mentioned earlier, dentin is darker than the outer layer of enamel and could show through. 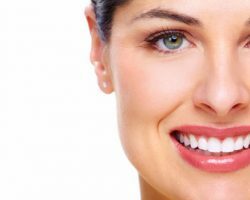 How Can Professional Teeth Whitening Help? At Ardelean Family & Cosmetic Dentistry, we know your time is valuable. We also don’t want our patients wasting money on ineffective over-the-counter treatments that will only give you short lived results, if they render any results at all. With our teeth whitening options, you get to decide which of them is best suited for your lifestyle, your schedule, and your budget. You could try one of our in-office options, such as the Zoom method, or our laser whitening treatment. These are great for people with tooth sensitivities who would rather not deal with gels on their own. It’s also convenient and cost-effective. We even offer take-home whitening treatment. It offers the professional grade whitening power to give you dramatic results, but it allows you to get a whiter smile in the comfort and convenience at home on your own time. Patients like the take-home option because you can do the treatments over a period of time until you gradually reach your desired level of whiteness. Imagine how it would feel to be the one behind a sparkling radiant smile. What would a more attractive smile and a renewed sense of confidence add to your life? 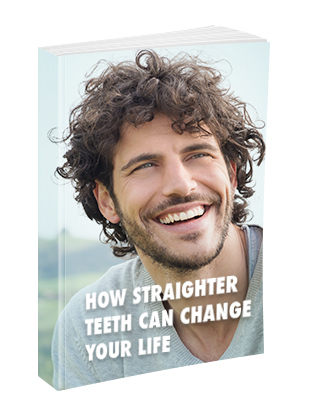 In what ways might your improved smile inspire you to go after the things you want? As ironic as it sounds, a white smile can lead to more colorful experiences, because embarrassing stains you used to hide behind will no longer be holding you back from enjoying the kind of life you deserve. Find out which of our teeth whitening treatments is best for you! Call our Clinton Township dental office today at 586-315-8987 or contact us online to request an appointment.